This summer I moved house, got married and turned 29. Before this I presented my first aesthetics paper in a conference outside of my home-uni, in Hungary no less, had two philosophy pieces accepted for publication, three pieces of pagan related writing accepted for anthologies, and sold some art. It’s been an exciting year. Re-enchantment really works! 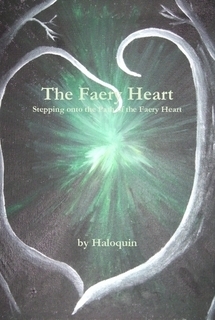 Share my Fae work somehow – perhaps in a devotional book, a workshop or a talk? They sound like a stretch, but an achievable one. So, who would like to exhibit some beautiful deity artworks? Who would like to host a storytelling evening? And who wants to hire me to talk to your group about faeries, enchantment and making life magic? Or do you know someone else who might want to host my work? And who wants to share their goals? Who has a big dream (or three) for the next year and would like their declaration of intent witnessed? Comment below! 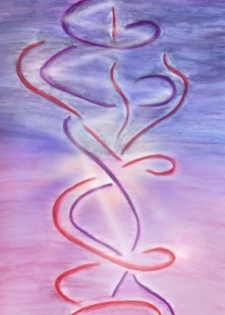 Enchantment and empowerment work together to transform our lives into something extraordinary! They are, in fact, a Sign! A little while ago I was rolling the sense of enchantment on my tongue, wondering what was missing. I am a devotee of delight, constantly seeking to re-enchant my life and the world around me (though I’ll be the first to admit that its an ongoing saga, a work in progress for certain!) and yet there was something missing in my writings, something with backbone, something to give the enchantment strength… and so it came together in my mind! The missing link was power; the power that rises from within, the power of choice, the power to shape our lives in the ways we choose. As soon as the word ’empowerment’ clicked in my mind I understood: we need power to make our dreams come true, and we need to tap into the wonder of enchantment to shape our dreams in enchanting ways that feed our heart and souls. And so the concept of ‘Enchanted Empowerment‘ was born! This is so huge a concept that I felt the need to start at the beginning, and a week-long outline expanded into 6 months! I began, then, with Compass Building. Starting with where we are, Here and Now, a return to centre. Month one stands alone as a foundation for enchanted empowerment, and it will be built on further… first spiralling outward to the points of the compass, and then in creating a map to our dreams! I don’t know where the flying fish came from, but once they appeared they’ve followed me since. For more information on the course, and to sign up check out the page for month one here. And for a weekly email of musings and updates sign up here! Life: A balance of self in community. Iron: The foundation of living. Pearl: The levels of connection. Working with these energies can uncover blocks within yourself, polish smooth the rough edges and bring some more rust to the surface to be cleaned away. If we work to heal ourselves, we are working to heal a part of the world. In healing ourselves we heal our community, our relationships, our lives, the world. Announcing: A Parcel of Pixie Kisses!!! I am delighted to announce that these posts have been collected into a book, alongside the letters to my mailing list which accompanied them, paintings and photos from my own feyhearted explorations, and some extra material written especially for the project. Do you long for enchantment? Do you revel in delight? Are you drawn to the Fey? Choose, now, to walk in a world of beauty, of delight. Choose, now, to be enchanted by life! Suggestions, musings and explorations of enchantment in bite-sized kisses in a dainty book, ready to wing its way into your life and guide you through play to the magic that surrounds you every day. My book has been accepted by a publisher!!! A lovely German publisher has decided to take on The Faery Heart, and to publish it in a German translation with new illustrations by a gorgeous artist. The original, English, version is up on Lulu! Complete with my own illustrations. Have a printed copy sent to your door, or download a digital version to read right away. Happy thoughts to you all!!! Its a strange feeling, being between lives. I’ve a good sense of who I am and what I want… its just making that choice, stepping, with both feet at once (a leap, really) into the future I’ve turned towards. It looks like I’ve chosen, but I’m not quite committed, not yet. I’ve burned the bridge back, amicably but definitely. I’ve been given, handed on a silver platter, an opportunity to make the transition easily, and it still feels so hard because I’m scared. I’m deep-down-in-my-very-core terrified. And I know its this way or nothing. It feels so right. I’m scared and certain, at the same time. Fear and desire, those dancing twins. From the tension, as Thorn has taught me, can be born a new thing, a third thing, a proud thing. I can make a choice, and raise the new-born peacock high. What am I choosing? What have I turned my caravan* towards? I’ve chosen to move back to the green hills of Wales (though I’ve kept my job in England as a safety net), I’ve chosen to start writing more seriously, both academically and magically (see the Feyhearted blog for a weekly project which has been weekly for 6 weeks, and is scheduled to be weekly for another 2 weeks already. I’m not only continuing a project, I am actually ahead of deadline! Go me!). I’ve chosen to do what will make me happy, rather than follow the trail of shoulds that have been threatening for a year. Artist I get. Witch I get. Academic, student, dreamer… all things I’ve long accepted. I still ignore the label ‘writer’. Its important to me. I write all the time. More than I make art. And I have trouble with it. Despite having written a book. Having written many short stories. Having kept a sporadic blog (or 5) for years. Having written essays and dissertations… and having enjoyed the process. So yes, I’ve chosen to be a writer. Among other things. Since, if you don’t do/know/love other things, what do you write about?! There are other ways, other commitments I am in the process of making, like actually releasing my old home and becoming present in my new home. This one feels key though… I find, strangely, that I love to write, I long to. *Caravan. Yep. Havi is a pirate queen, Eileen has a sailboat. I like stability, I like having a home, I like freedom and colour. I have a gypsy caravan. I might talk more about this later. I might not. We’ll see.